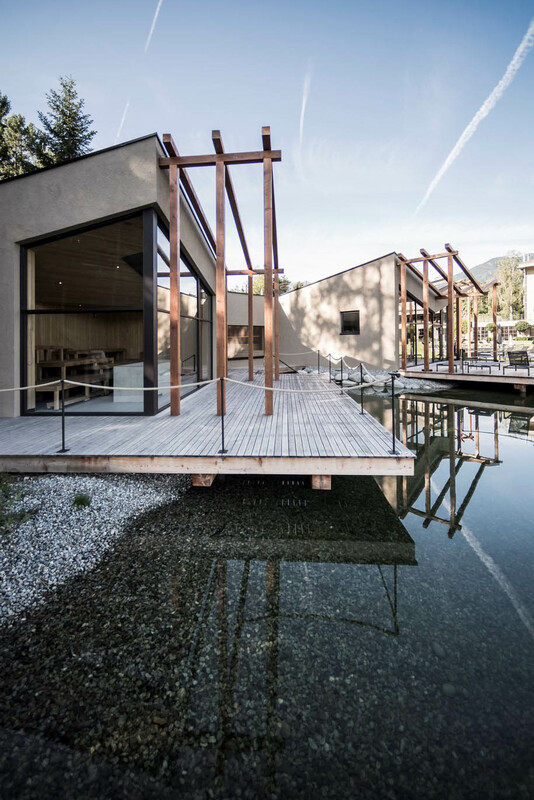 noa* – network of architecture converted a residence in the countryside in Italy into Hotel Seehof and designed an expansion and a special wellness area around the picturesque private lake. 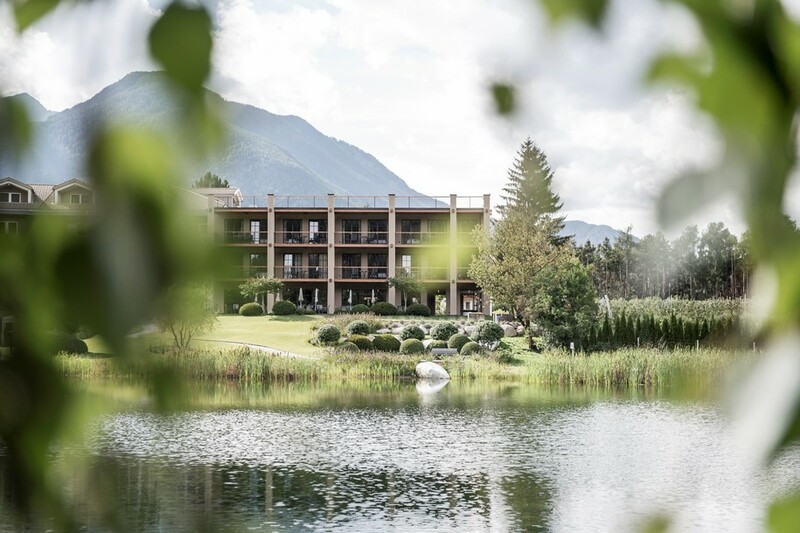 The Hotel Seehof is located on a high plateau near the village of Natz-Schabs/Naz-Sciaves near Brixen/Bressanone (IT) by the small natural lake “Flötscher Weiher”. 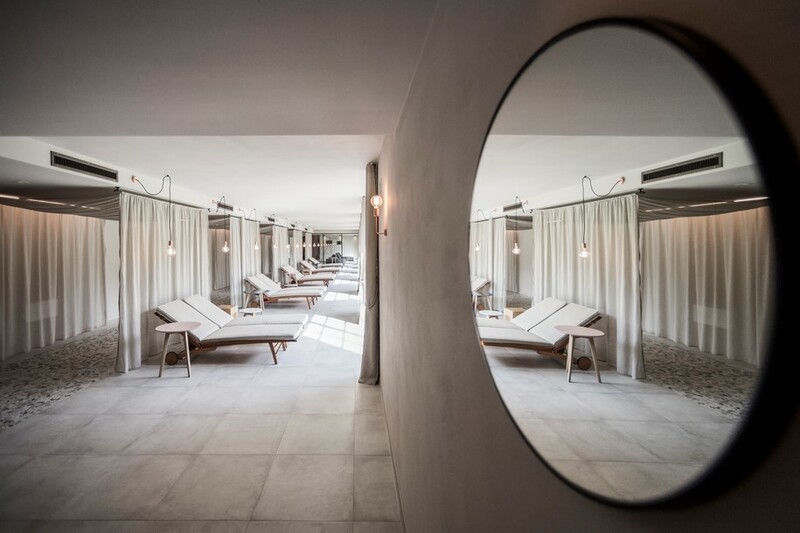 In 2017 this family-run hotel underwent major renovation and extensions, with an entire restyling. 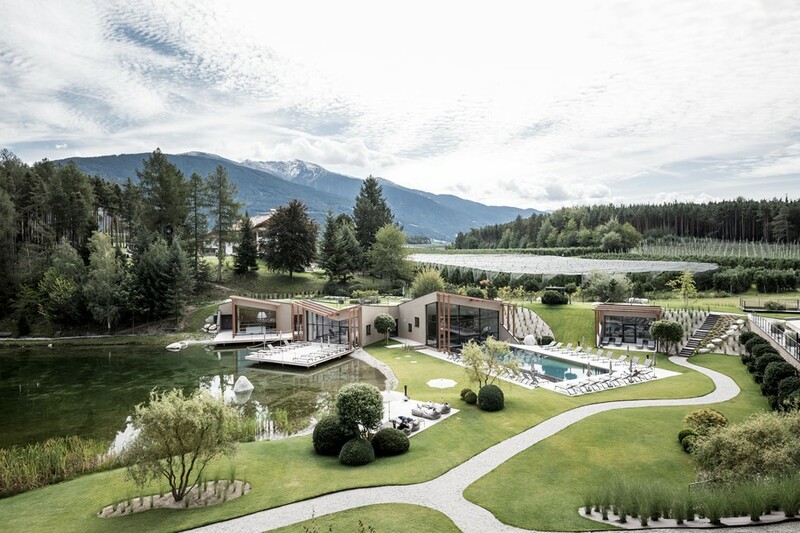 16 new suites, the new pool and wellness area, directly on the lake correspond with the new design and management concept: to place nature and the recreational value as the point of focus. 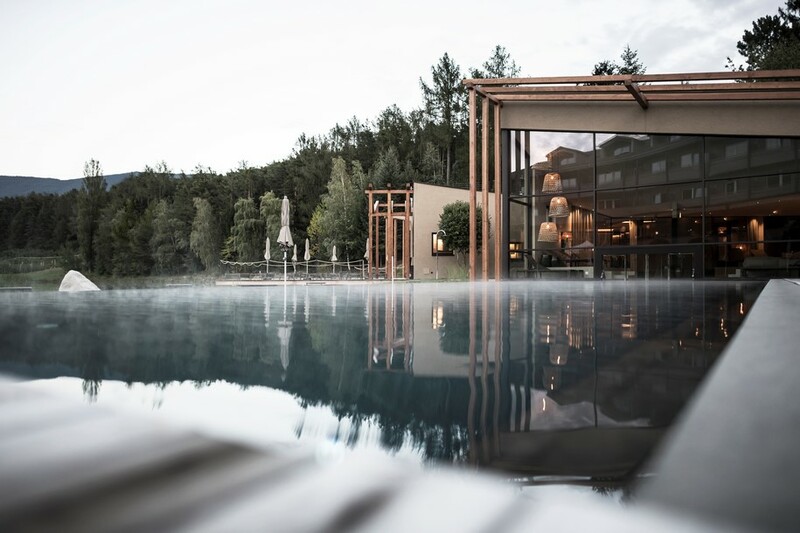 The location in the middle of the mountains gives the hotel an alpine character with a Mediterranean flair. 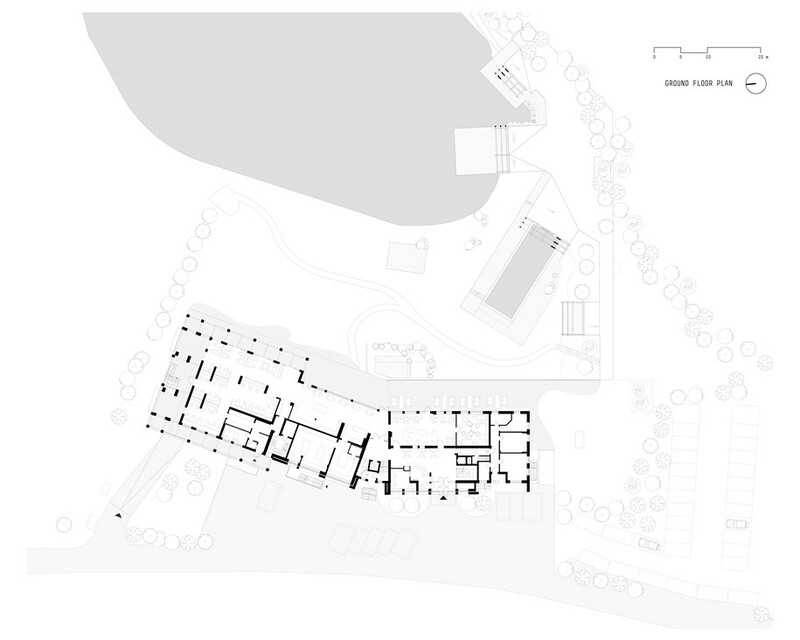 The main building is reminiscent of a stately residence in the countryside; Deep loggias, as open spaces, visually enlarge the suites and thus intensify the special connection with nature. 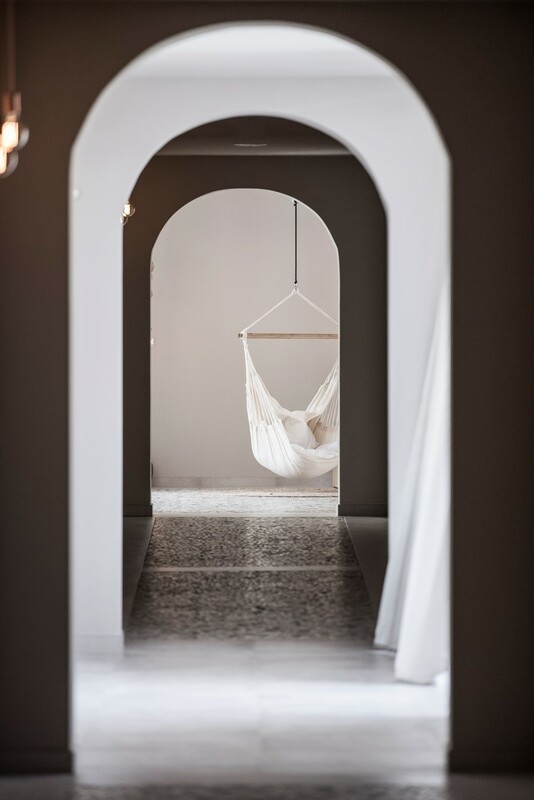 The new rough, earth-colored plaster combined with the new clear, horizontal wooden structure gives the hotel a noble appearance. 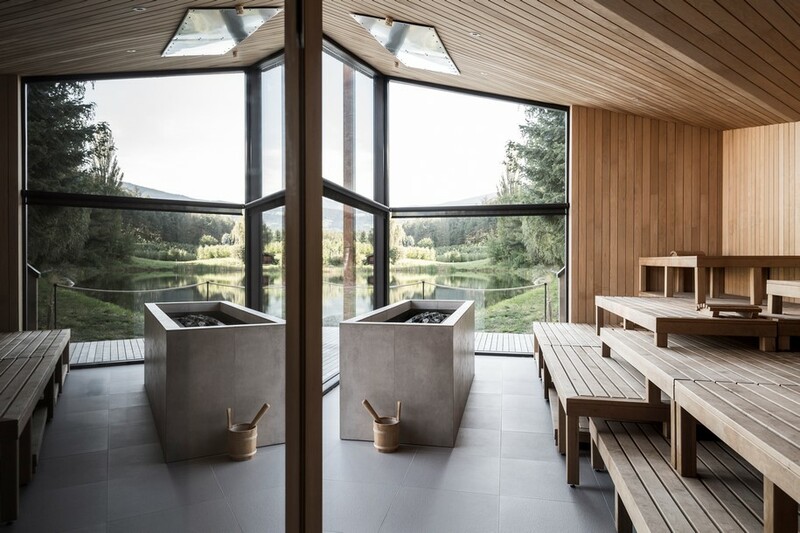 The new spa area with pool and sauna area connect structurally with the surrounding landscape and impressively opens up with its irregular potholes and pergolas through large panorama windows towards the lake. 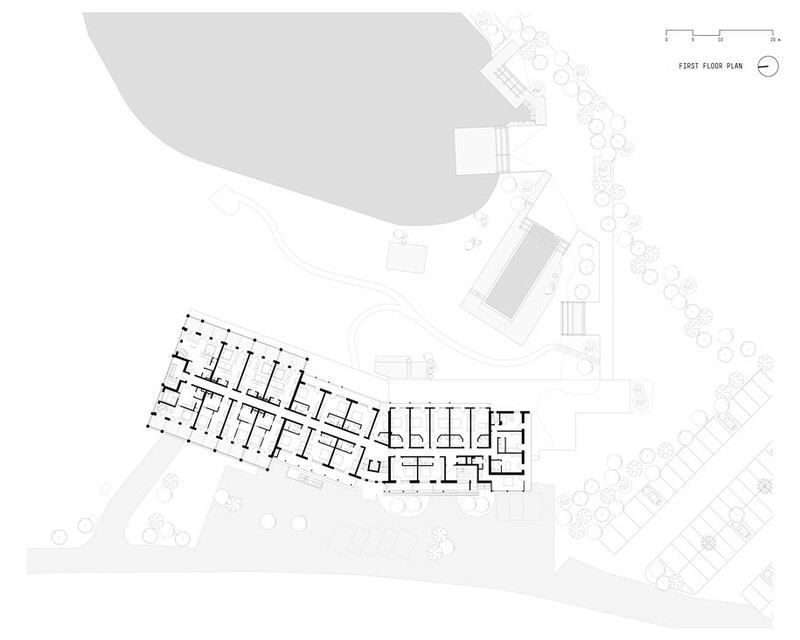 Directed views from the interior into the surrounding grounds, as well as inside open areas, socalled patios, concisely convey the feeling of being in a large park. 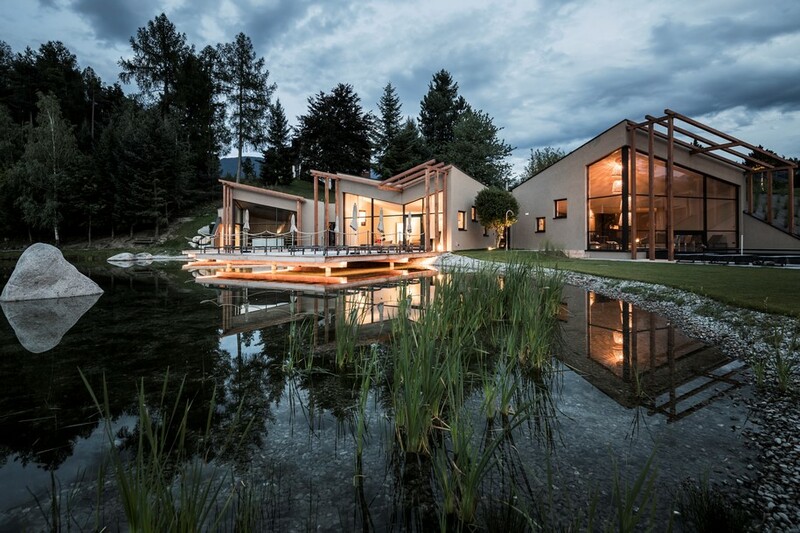 The design of the outdoor areas also play an important role. A natural unity was created here, in which the space can be walked through on different paths. Contemplative dwellings are spread around the lakeshore. 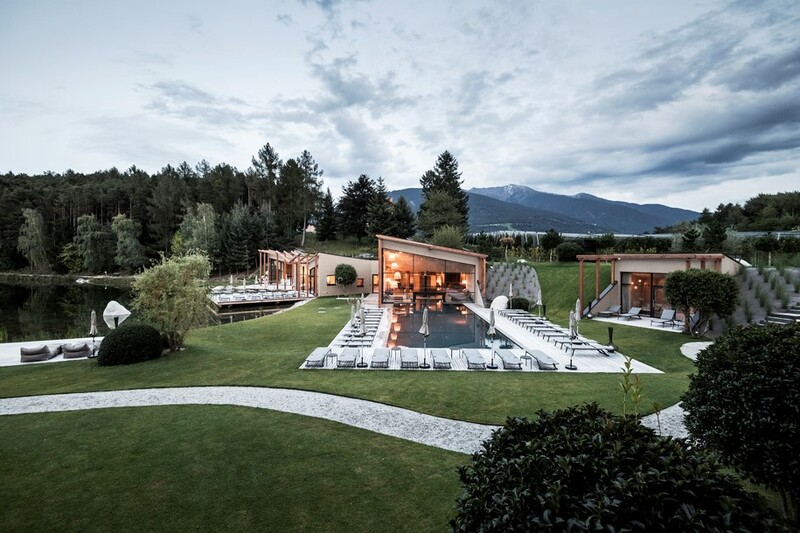 The combination of the architecture with the surroundings is most impressive here: the oblique, green roofs of the spa can be used for sunbathing, while this green area seamlessly transitions into the surrounding forests and fruit orchards. 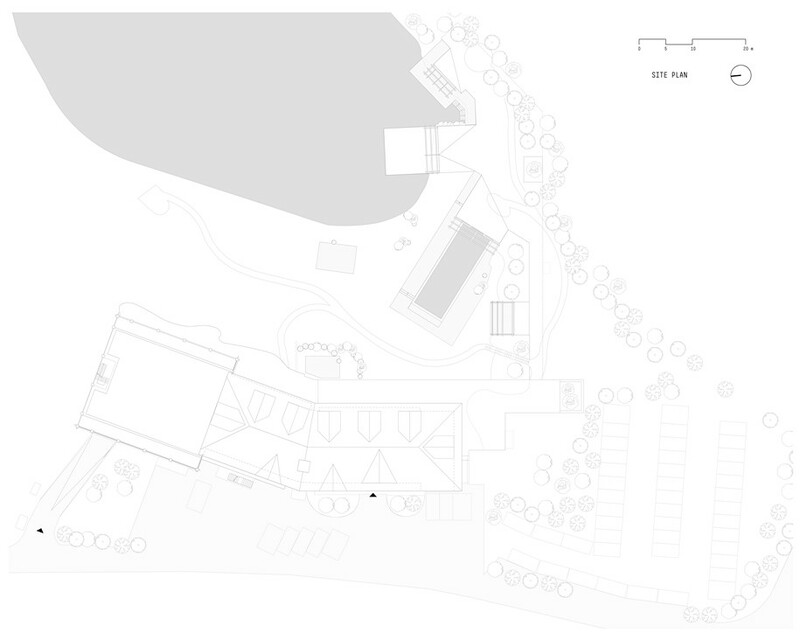 Architecture becomes landscape and landscape architecture. 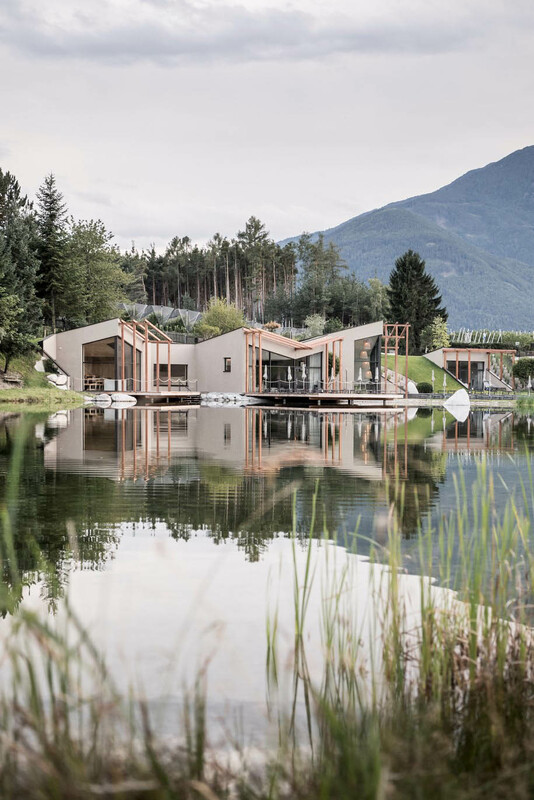 The interplay between architecture and interior design creates a holistic design in which guests and the recreation are celebrated within nature. 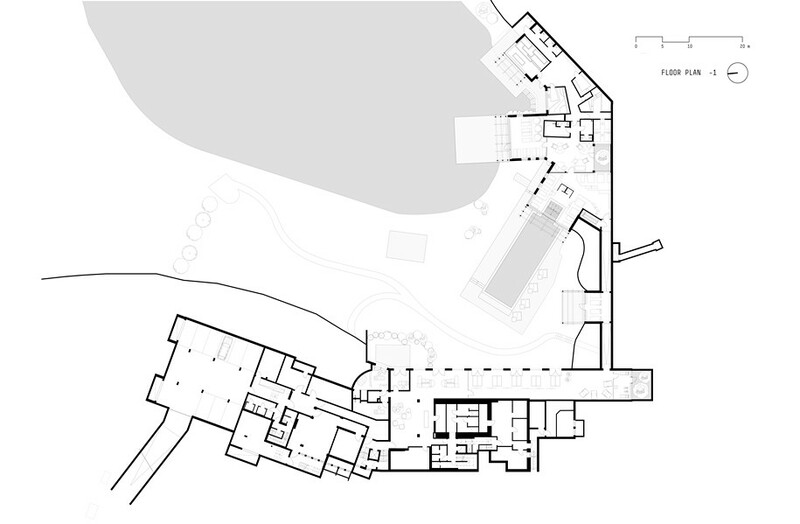 The new interior design deals with the history of the place and incorporates it into the design. In 1958, Jakob Auer, grandfather of the land-owner, founded the so-called soil improvement consortium on the Natz-Schabs /Naz-Sciaves apple tree plateau, in order for the traditional cultivation of apple trees to be intensified. 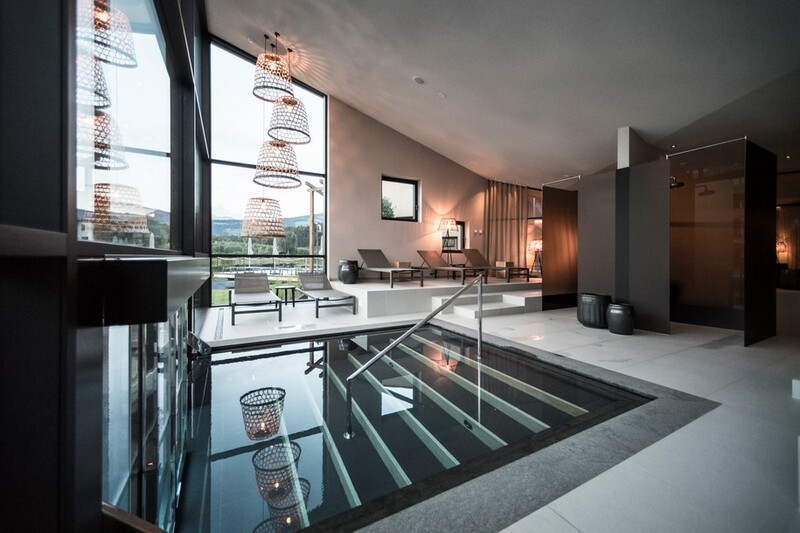 The widely used water pipes used at the time become an inspiration for the interior design. Copper pipes, which can be seen throughout the house, are consciously accentuated as a design element: in the bedrooms; the lamps, small tables, bathroom fittings and wardrobe hooks. In the spa-reception area pipes form an extraordinary view on the wall and ceiling. Special attention and incorporation of natural materials from the surrounding environment, was a focus point in the interior design. 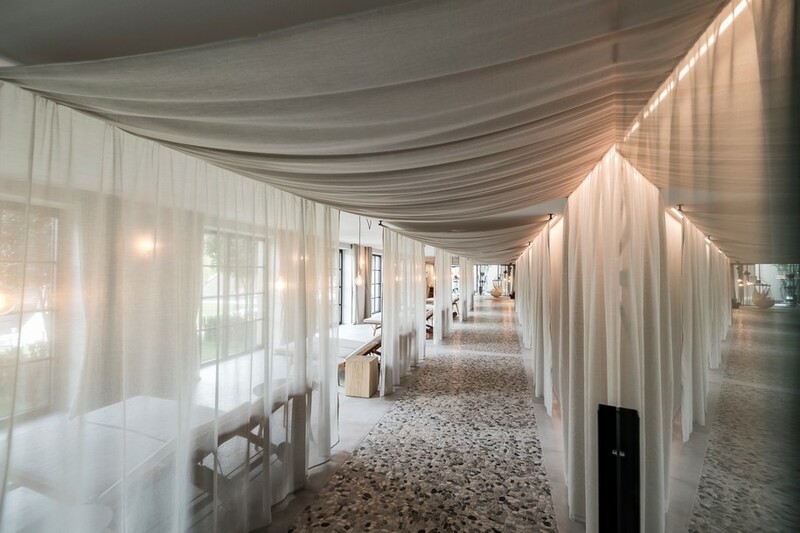 Wood, linen, stone, braided furniture and accessories in combination with bright, discreet colors correspond to the natural concept of the new Seehof.